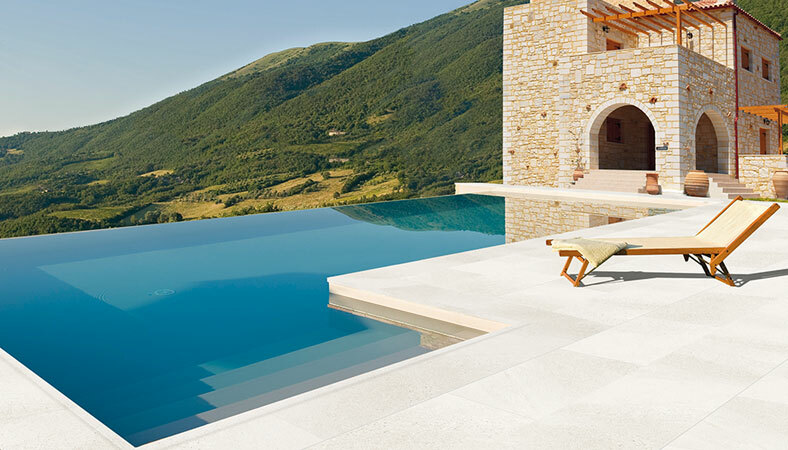 If you want your terrace or swimming pool to have the same colour and design, we offer the option of a uniform and elegant finish. Enjoy your outdoor space with complete peace of mind thanks to our pavements with an anti-slip system. Porcelain stoneware is a material that does not deteriorate over the years. It builds thinking in the long term. In addition of being a place where to have fun and relax, we will make your swimming pool a true treat for the eyes. 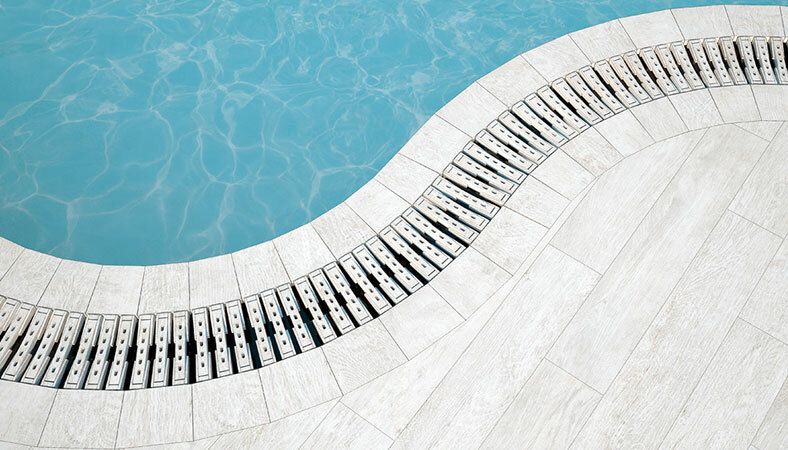 At Cerámica Mayor we have designed a piece for every constructive requirement you may have when building your pool. Edges, grates...monoblock pieces without cuts or attachments. Shall we help you with your product?